Oxy peel is done using a machine which compresses oxygen from atmosphere and combines with normal saline attached to the machine. 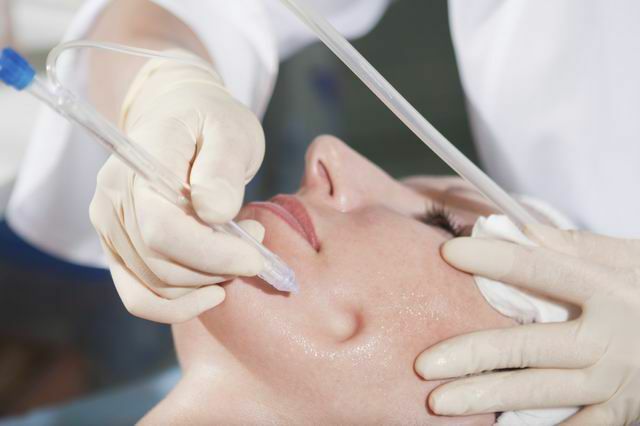 The compressed oxygen along with the water (normal saline) is forcibly pumped into the skin surface. It is a new technique which is done prior to chemical peels which is more effective than chemical peel alone.